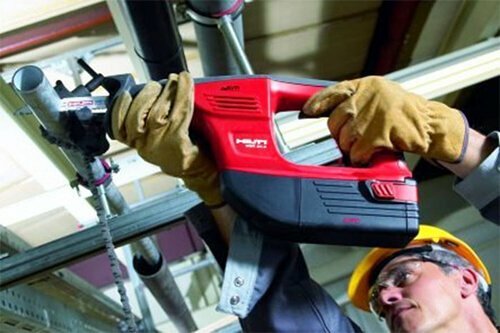 Hilti products, systems, and services offer innovative solutions with outstanding added value to customers in the construction and building maintenance industries. Hilti has once again introduced a new professional reciprocating saw to the Hilti line up. 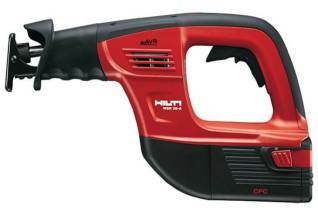 This is the Hilti WSR 36-A Cordless Reciprocating Saw 3.9Ah. This tool uses a 36 V 3.9 Ah CPC Lion battery that offers high power that you can rely on for heavy demolition applications. You can use this tool for a number of works ranging from cutting pipes, cutting struts, to cutting steel studs. It goes without saying, if the tool can cut through harder materials easily it can cut through wood and other softer materials. It’s High-Efficiency Motor and Gear Combined with the Best Battery Technology Give You More Power and Work Per Charge. It is costly and one of the best reciprocating saw otherwise. Rescue services, public authorities, agriculture and forestry, construction sites, workshops, renovation, conversion and new construction, metal construction, plumbing, heating and air conditioning system installation in which the types of cutting work listed above are carried out. Weight according to EPTA-Procedure 01/2003 9.6 lb. The WSR 36-A is a cordless reciprocating saw for professional use. The power tool is suitable for use by right or left-handed persons. Here are some of the features offered by the Hilti WSR 36-A Cordless Reciprocating Saw 3.9Ah Kit. Go through them and decide whether Hilti WSR 36-A Cordless Reciprocating Saw 3.9Ah Kit is the cordless reciprocating tool that you have been looking for! 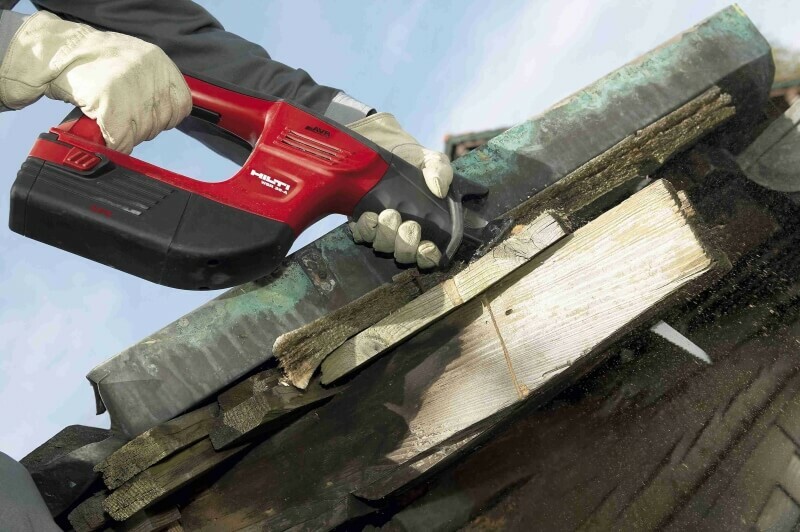 The tool is backed by a Hilti active vibration reduction feature that has the ability to reduce the vibration up to two-thirds. If you have ever used a reciprocating tool, you would know that your hands feel exhausted because of the vibration those results when cutting the material. To make the cutting process easier the company has included the active vibration reduction. The feature also helps you to make precise cuts. The saw comes with a speed trigger that has six setting. 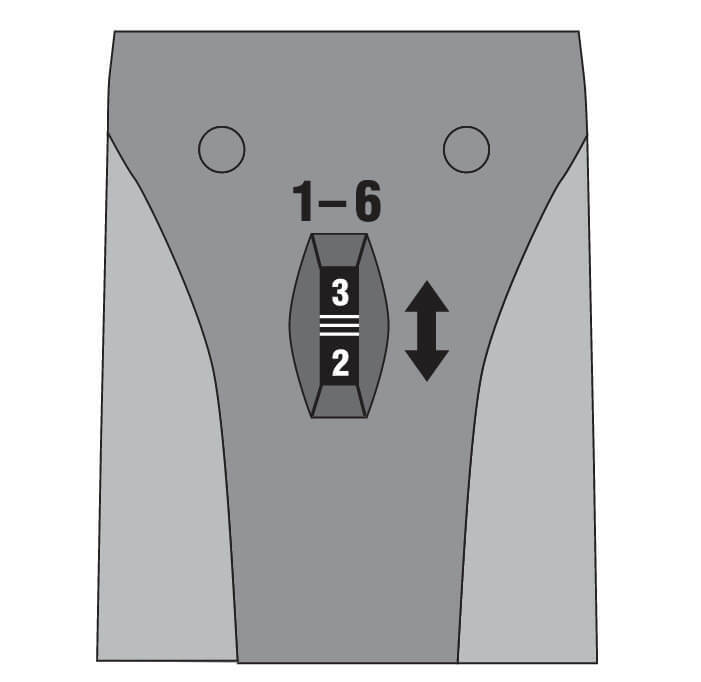 This setting allows for variable stroke speed for more control in a variety of applications. For instance, you can use the setting when cutting through tough materials such as concrete or steel you can adjust the speed to high speed, this will allow you to cut easily and faster. While cutting through the softer materials such as wood, adjust it to slow speed for you to cut easily and accurately. The Hilti WSR 36-A Cordless Reciprocating Saw comes with a high-efficiency motor as well as the best battery technology to give you more power and work per charge. This means that you will use the tool for longer periods before the battery is exhausted. In addition, the battery charges within an hour meaning that you can continue with your work within a very short time. The tool weighs about 9.1 Lbs and has a one and a quarter inch long stroke. This makes it an ideal tool to use in tight spaces where you can never use the corded saws. In addition, its cordless feature allows you to use the tool in areas where the power grid is not near. This means you can use the tool in ceilings as well as in cabinets. Its blade changing system is also easy. 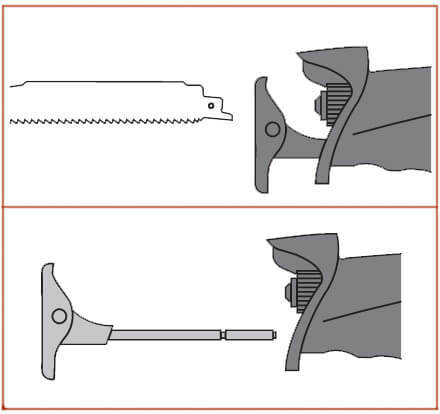 Most of the reciprocating saws are manufactured with low-quality materials that break easily in case the saw falls. However, the Hilti WSR 36-A Cordless Reciprocating Saw 3.9Ah Kit is made with superior materials that are tough will withstand short drops. This makes the tool superior and extends it durability. 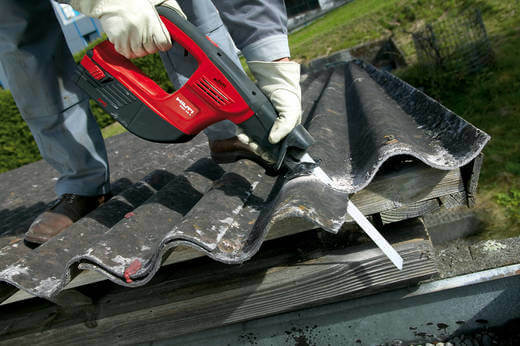 Unlike other reciprocating saws that come with a hard plastic handle, the Hilti WSR 36-A Cordless Reciprocating Saw comes with an ergonomic handle, which is covered with a soft coating. This coating absorbs the excess vibrations giving your hands a lot of relief. In addition, the handle allows for a firm grip. This makes sure that your tool is secure and comfortable, meaning that you can use it for extended periods without getting tired easily. Another important feature that comes with this saw is the robust cells that offer longer battery life. You can charge the cells in less than one hour so that you can continue with your work. The cells allow you to work for a long time without exhausting the battery. Sawrev: Hi I am the owner of sawreviewed.com a professional saw review site. Recently I come in contact with Hilti and found it most costly. I found only a single noticeable feature that makes it different from other available saws in the market. That is 36/3.9 Li-Ion Battery. Could you please describe it and tell me how long the battery last on a single charge? Hilti: There really is no way to Intelligently answer that question. There are so many factors to determine how long a battery will last ( weather, how it is being used, skill of the user, age of battery…). We will, however, put our batteries against other brands. I have included a link to youtube videos about our cordless tools. Ans: 1x WSR 36-A Cordless reciprocating saw, (2) B 36 Li-ion 3.9-Ah CPC batteries, (1) C 4/36-ACS Li-ion CPC charger, and operating instructions in an impact-resistant plastic tool box. When testing all the tools that came in Hilti WSR 36-A Cordless Reciprocating Saw kit, we found that they were easy to work with and all of them worked well. In fact, all the tools available exceeded our expectations. We think that Hilti did a very good job on power generation when it comes to keeping the tools running. We would recommend this tool to the hobbyist, people who do remodeling, construction workers, and any other individual who would need a simple tool to do cut through various materials. Buy Hilti WSR 36-A Cordless Reciprocating Saw kit On Amazon, Now!